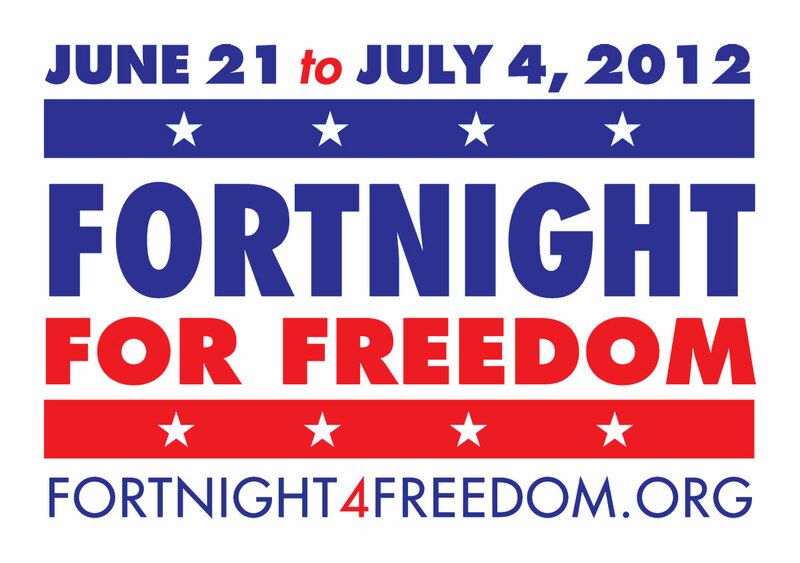 Throughout the United States, American Catholics are participating in a Fortnight for Freedom. This two-week period, an initiative of the United States Conference of Catholic Bishops, is a national campaign for religious liberty. The campaign comes at a time during which “[o]ur liturgical calendar celebrates a series of great martyrs who remained faithful in the face of persecution by political power— St. John Fisher and St. Thomas More, St. John the Baptist, SS. Peter and Paul, and the First Martyrs of the Church of Rome.” Additionally, the campaign is a period of prayer, fasting, civil disobedience, and other activities devoted to defending religious liberty. I attended mass at St. Mary Catholic Church in Huntley, Illinois yesterday on the Solemnity of the Nativity of Saint John the Baptist and on the First Sunday in the Fortnight for Freedom. Fr. Jonathan Bakkelund delivered the homily. He spoke with great fervor and urgency on the issue of religious liberty. He explained that so-called accommodation in the mandate for religious employers. The entire congregation stood and applauded this message. It was the first time in my life that I have heard a homily that roused the whole congregation to such a response.